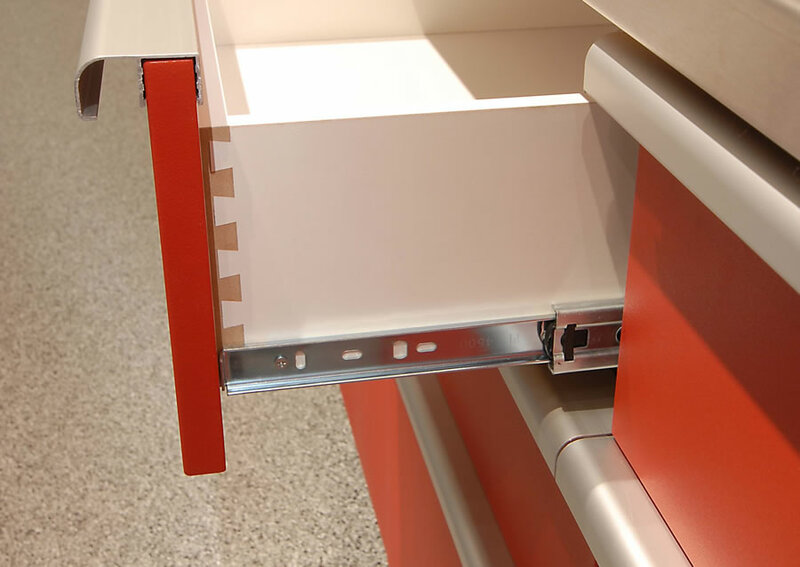 Contemporary styling, state-of- the- art design and finish is hiding the most significant breakthrough in cabinetry in recent years. 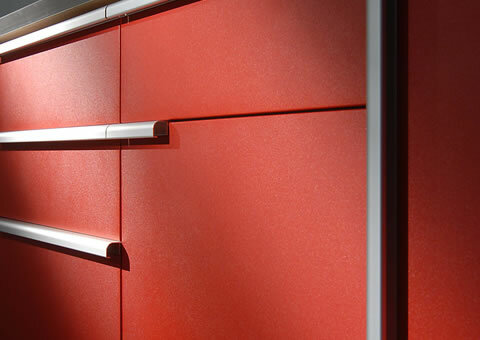 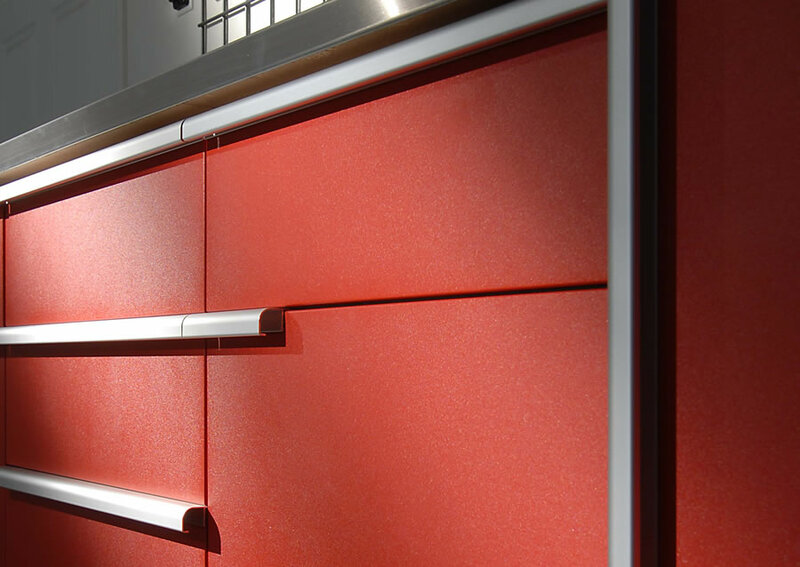 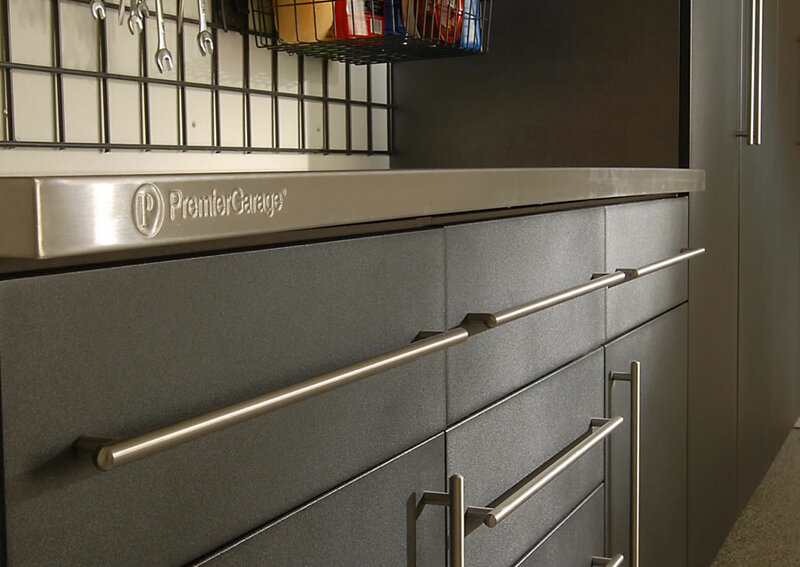 Our powder-coated wood cabinets. 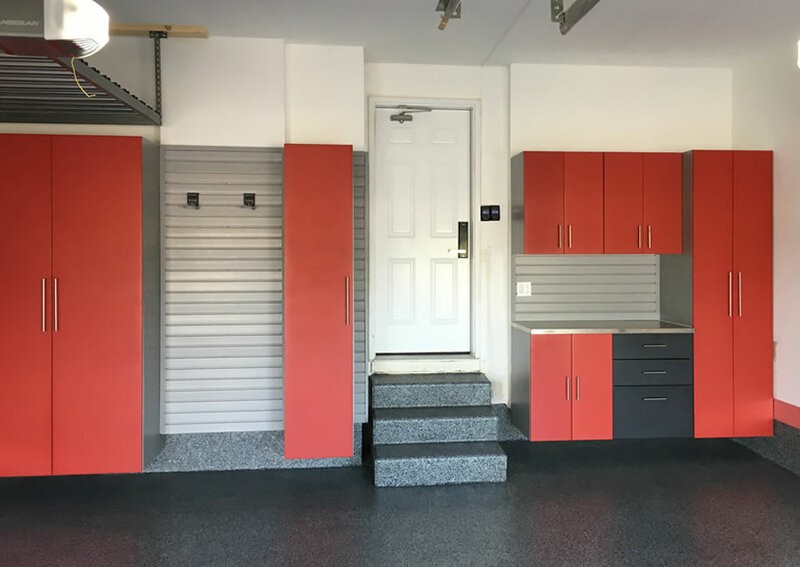 What do they mean to you? 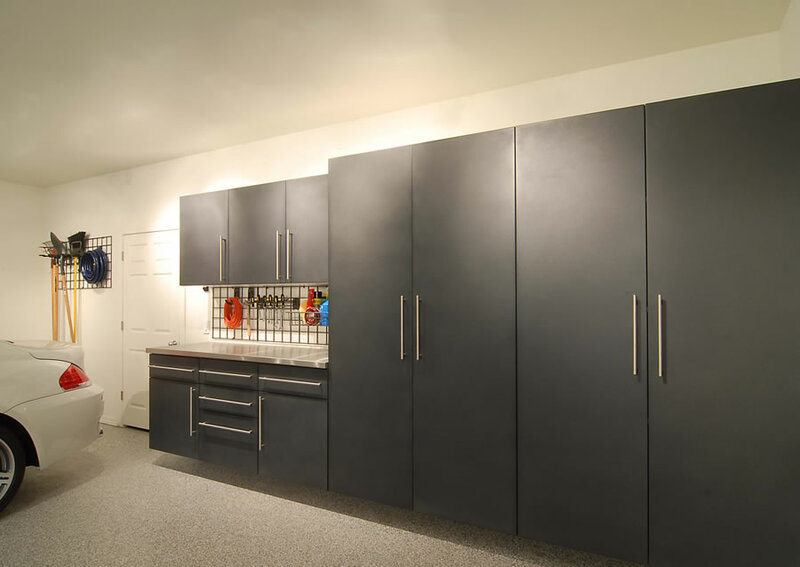 They mean that your worries about moisture affecting your cabinetry and dirt or chips on your cabinetry finish are over for good. 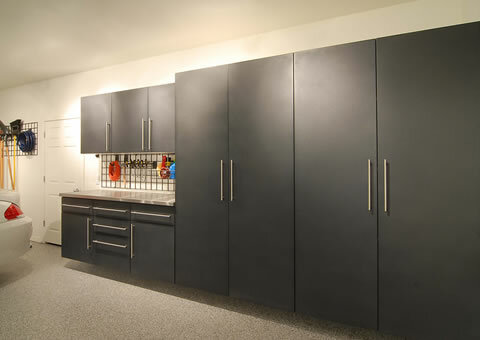 The most durable and environment resistant cabinets we have ever made are here. 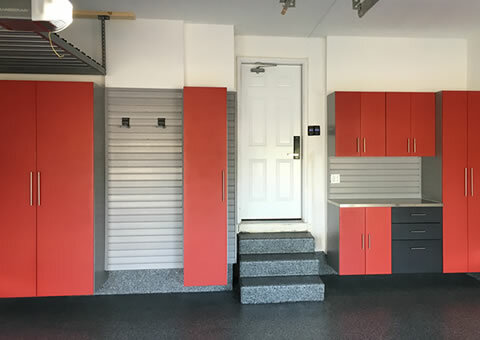 (And maybe that anyone has ever made. 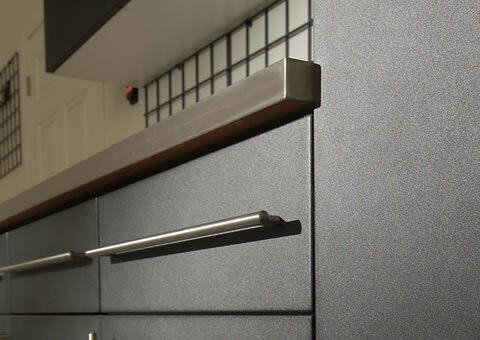 We are still looking for a challenger). 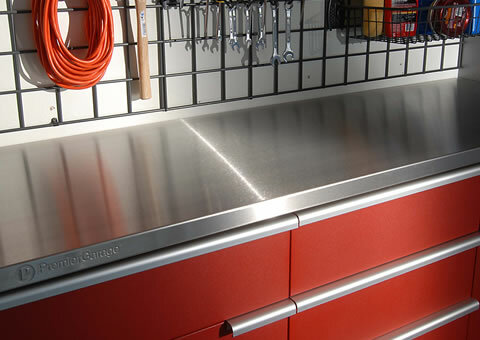 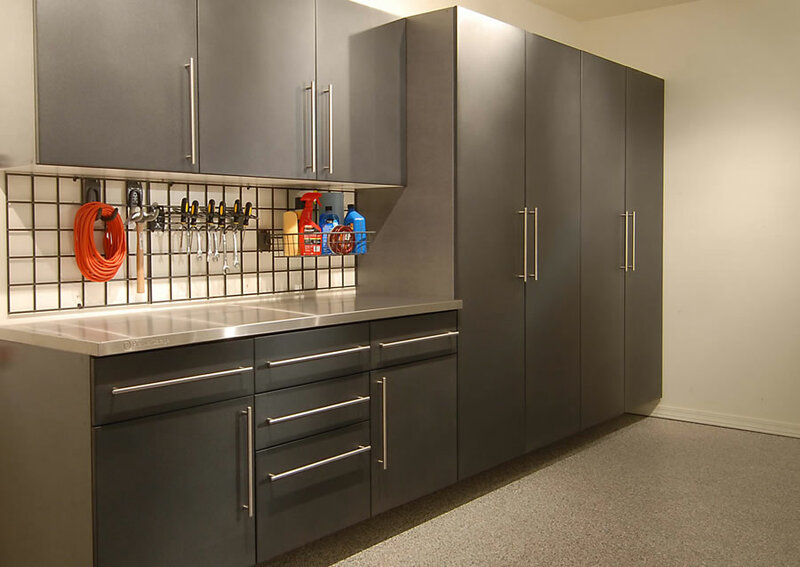 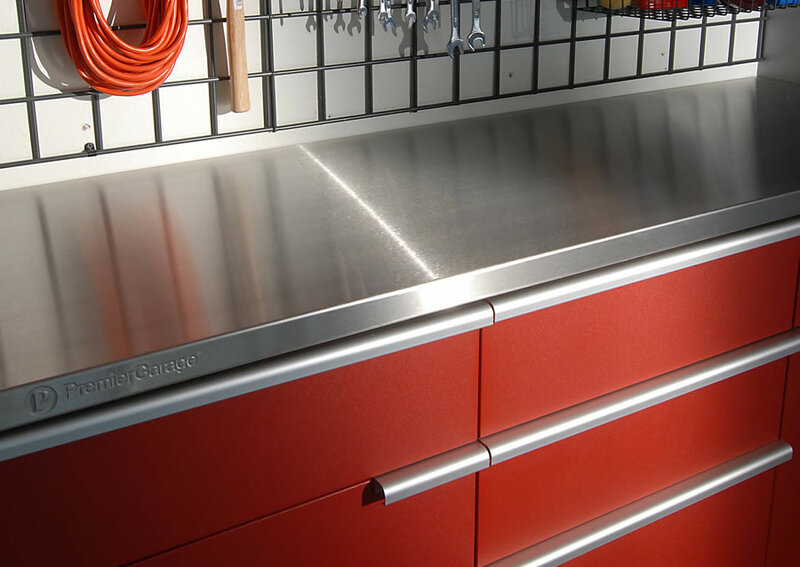 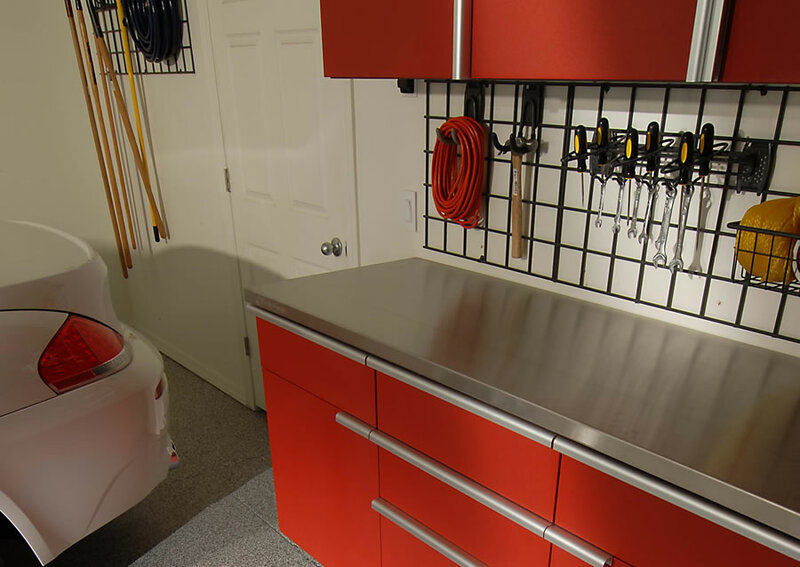 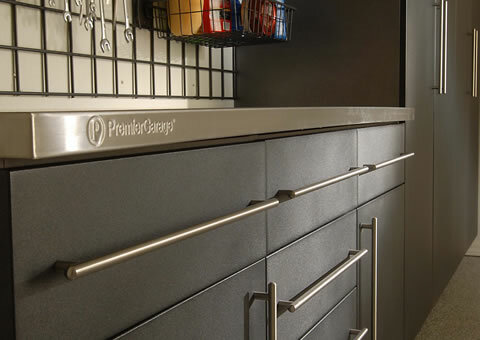 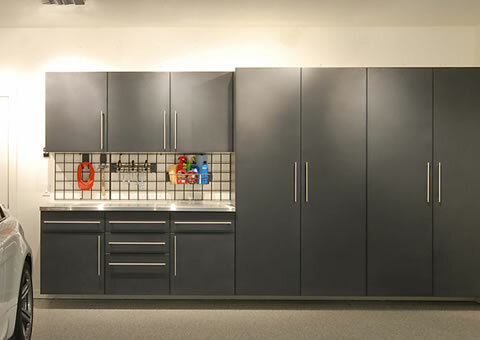 Not restricted to just the garage, the PremierGarage® Powder-Coated Cabinets are also ideal for commercial use. 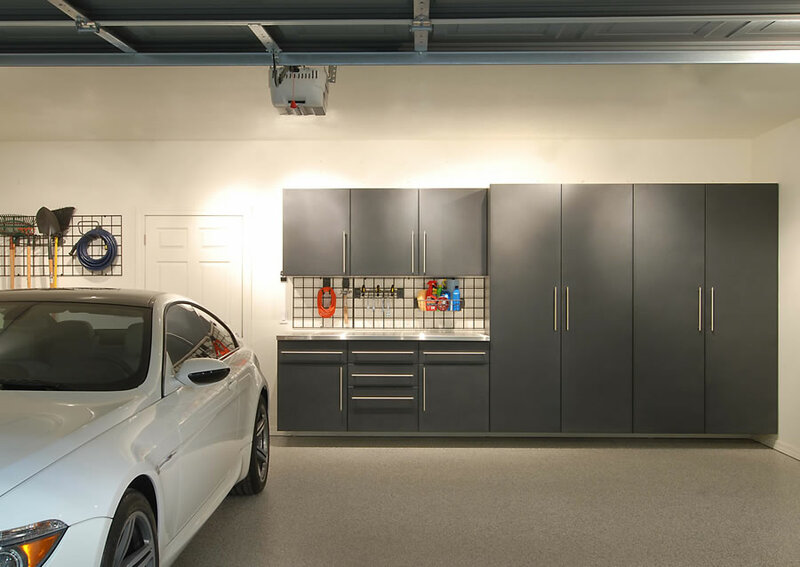 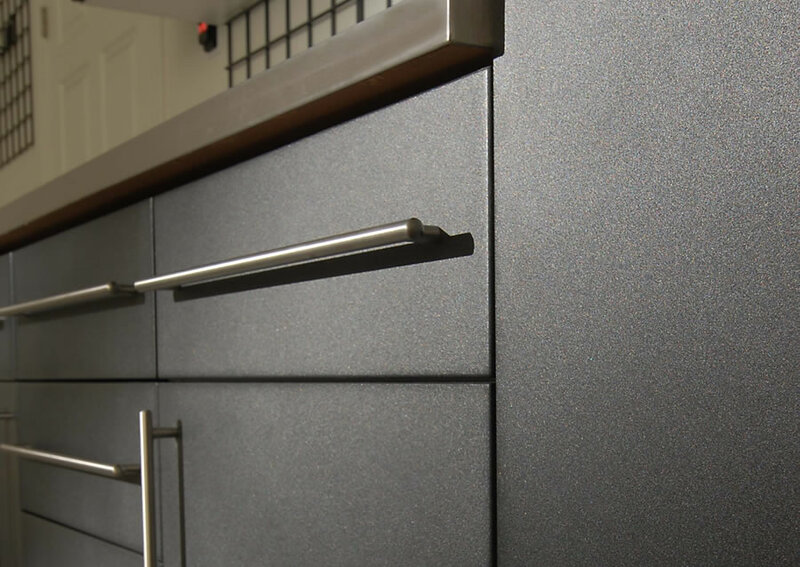 This new wood powder coating technology used in manufacturing of our PremierGarage powder-coated cabinets allows them to stand up to even the harshest climates. 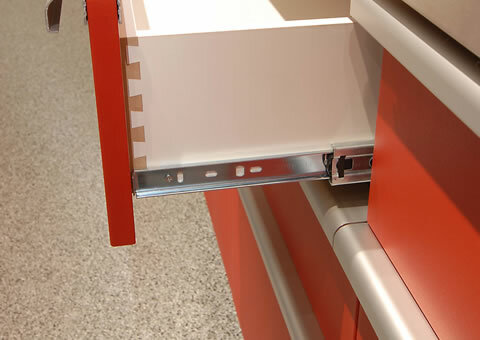 Because the cabinets are completely encapsulated, they are moisture, stain and chip resistant and more durable than liquid paint or melamine alternatives. 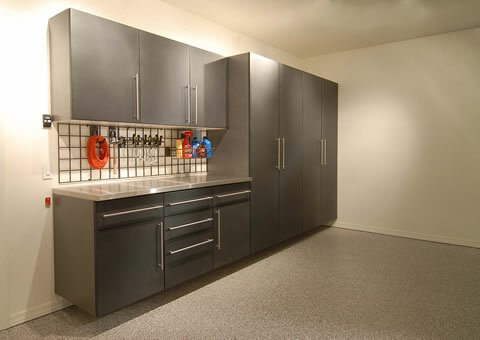 Maintenance and cleaning is achieved by simply using a damp cloth or all purpose cleaner.